First it was the earthquake. Then, it was a tsunami. Now it’s nuclear disaster. How much more can our Pacific take? Not to mention the deep pain for our poor friends and family in Northern Japan? The Trestles Surf Crowd is entwined with all these issues, especially the tsunami and nuclear parts. Looking at this aerial photo (courtesy of Google Earth), you can see what Trestles surfers live with everyday. 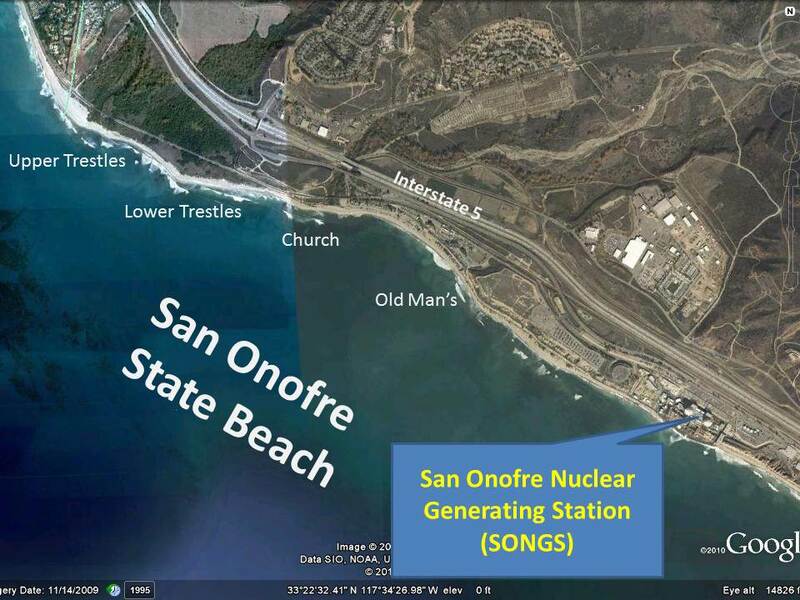 Sure our best neighbor, SONGS, is taking center stage again in the seemingly never-ending nuclear energy controversy. Sure we want to make sure Edison and SDG&E are doing all they can to protect us and our home away from home. But, if you ask most Trestles surfers what they think of surfing next to a major nuclear plant, you’ll likely get the same response. No big deal. Life is all about managing the risks. If we were afraid of every risk, we would never get to enjoy that epic triple overhead day or that shallow grinding barrel. Just deal with the risks. We’re not cavalier, just not willing to stop living; let’s take it one day at a time. Can somebody pass me the iodine? And, don’t forget to contribute what you can where you can toward the Japan relief work. What goes around comes around — the earth that is, literally.